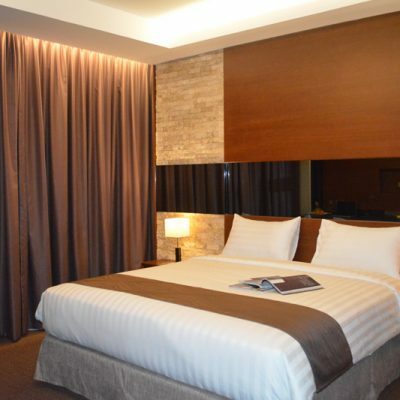 This brand new boutique hotel, Batam Da Vienna, near Nagoya area is definitely a must-try for leisure and business travellers. With a strategic location in the heart of Batam city, any external services such as spa centres, F&B outlets & retails shops are basically reachable on foot. 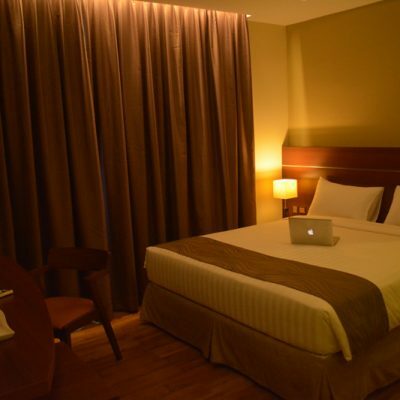 Despite the centralized location, it's still able to offer guests a very peaceful environment. Not to forget, they offer FREE in-room WI-FI! 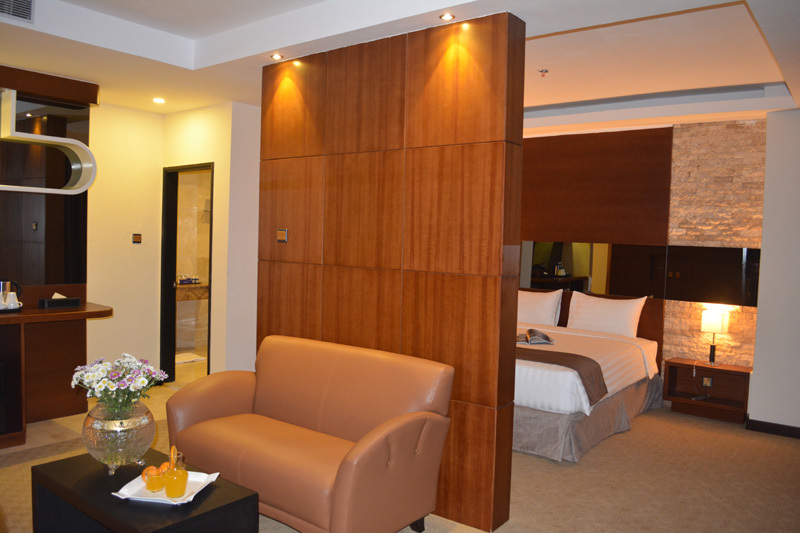 Da Vienna Boutique's rooms radiate the feel of contemporary and upscale design, constructed mostly of wood and marble. Despite this, it's still an extremely affordable hotel. 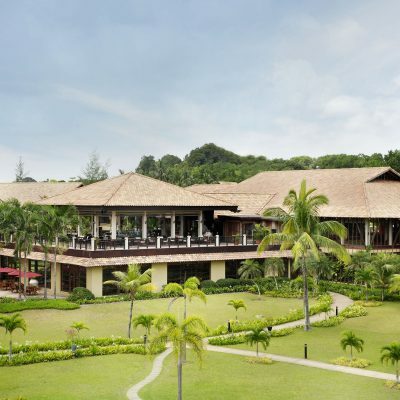 Facilities wise, there are 2 restaurants, 1 lounge (bar) and an in-house Spa. 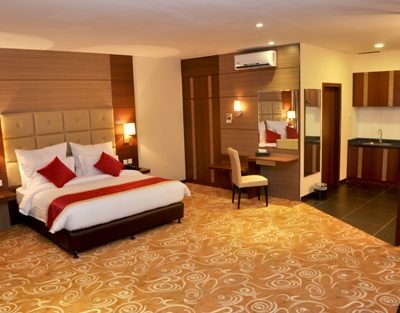 In terms of room types, they have four: Superior, Deluxe, Junior Suite & Executive Suite. 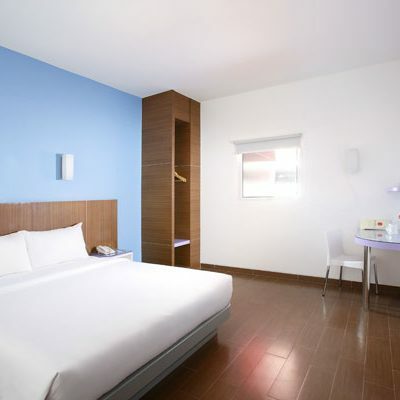 - Only a mere 10-minute walk to Batam Nagoya Hill Shopping Centre! 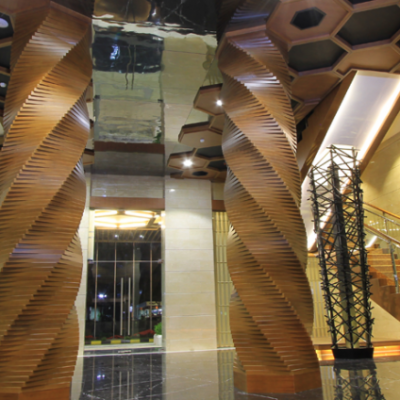 - Has an interesting layout of the hotel and for those who are into design, you may want to check out their lobby! Booked my 4D3N trip with lokopoko. Everything went smoothly. From the travel guide, the comfortable coach bus, the tour and to the hotel everything is extremely good. Hotel is spacious, food is not bad and the spa is super good! Fully recomended. Will surely book my next trip with lokopoko. Thank you ! Stay at Da Venna 3D2N with my girlfriend. Upgraded my room to Deluxe Room, and the room is indeed spacious. Hotel location is good, nearby lots of restaurants and food stall. Hotel breakfast is good too, wide spread of selection. 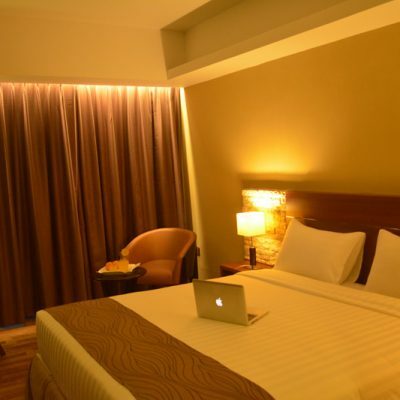 Will strongly recommend this hotel to anyone that have trouble looking for hotel to stay at Batam. 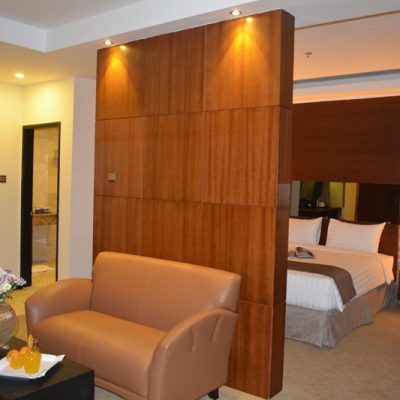 very nice hotel, spacious and clean. Near Nagoya hill shopping, about two street away, ten mins walk. There are some roadside street food available, just a street away from the hotel towards Nagoya hill shopping. Dear John, thank you for the feedback. 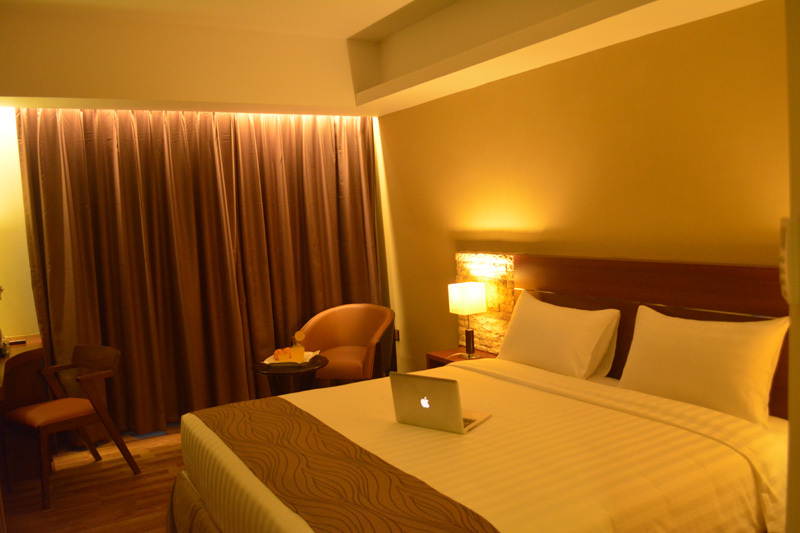 We are glad that you enjoyed your stay in Batam. We understand the frustration in the long wait. Being a public holiday, 25th March was really a peak period in Batam with many guests from Singapore. Therefore, the unfortunate long wait that you had to experience. We value your feedback and will improve our arrangement for future guests arriving during the Peak/Holiday season. Once again, we appreciate your kind support for booking with you. Very good new hotel, fantastic location. Underpriced, Overdelivered! Go with my girlfriend. Nice htoel. location good. thanks. The service by lokopoko is excellent. The whole journey was smooth and the package was a good value. Will certainly return to you for future travelling plans. Booked under loko poko. Very good experience with their service. Very fast and efficient. Everything went smoothly from booking till transfer to the hotel back and forth. 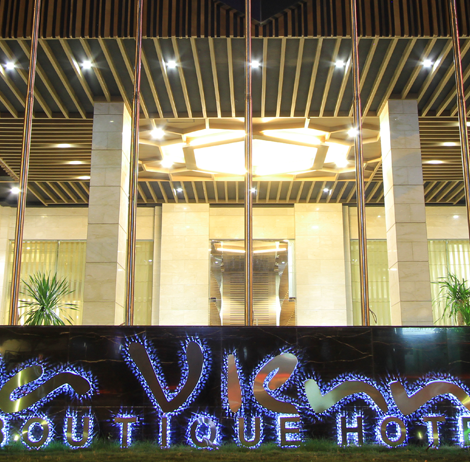 Da Vienna hotel is nice hotel and accessible to shopping malls. Everything is nice within the hotel. The main thing I did not like is the double bed i booked was no longer available instead they gave us twin bed. 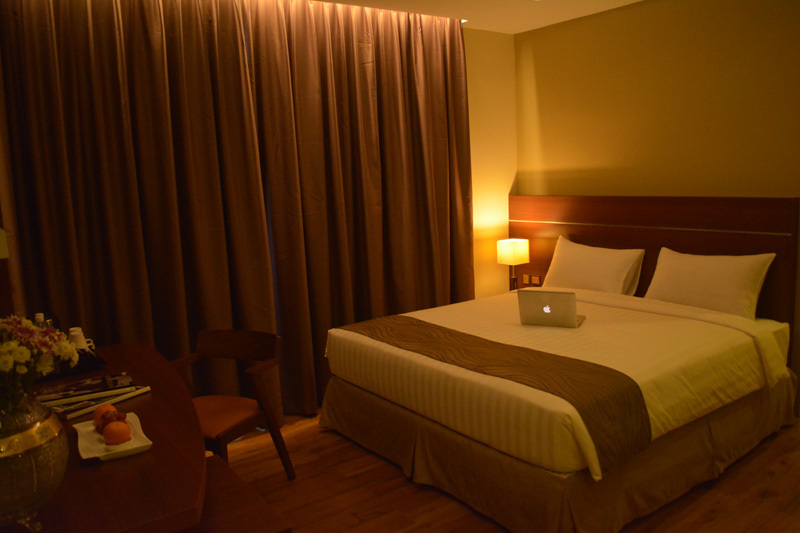 Not bad at all cause the 1 twin bed is still spacious and can accomodate 2 persons. Overall rating is 5 stars. Keep up the good work. Thank you Syafiq… Very enjoy batam trip.. Tour guide very friendly and arrange everything for us. 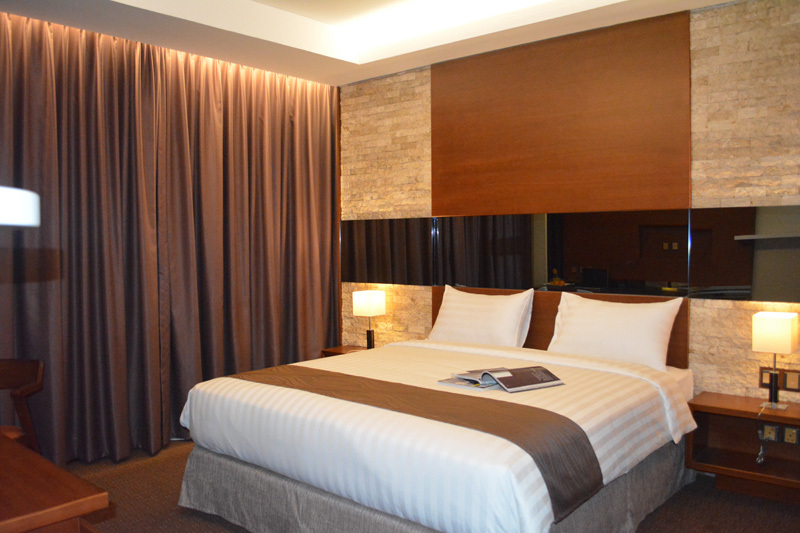 Hotel your recommend very clean & nice, love it so much!!!! The staff there very friendly. Hotel also near to Nagoya mall, walk around 5 mins. The Hotel is clean and nice. The staff are very friendly. Breakfat is good. In less than 10 mins walk to reach Nagoya Hill Shopping Mall and Nagoya City Walk (Mini Indoor Amusement Park). Just a stone's throw away, you can also find some local street food, pubs and convenience store. Amazing value for money. Good location, good service, good price! Thanks you Loko! Surpassed my expectation by a mile! More than worth the price. The land transfer by bus was old and unsafe. We had to wait in the bus for more than 30minutes for the rest to board, not knowing how long they are going to take because there was a long long queue at the immigration. when we finally got on the road, the guide announced that they had to stop by a few hotels. Unluckily for us, ours was tle last stop. The bus should have made a few trips since the ferry terminal and the hotels were near and the long clearance at immigration because of the festive season. Fortunately, on our return trip, the bus was in a better condition with a efficient guide called Ivy who gave us a clear explanation of what to expect at the terminal. As for the hotel, the staff were all friendly and courteous. The only setback is they could not handle the crowd. We had to wait sometime to check-in. When we finally got our rooms, there were some missing amenities like no towels, hairdryer, toilet paper etc. On the whole, it was a good trip. Thank you Lokopoko for your fast response. Anyway worth booking thru Lokopoko Travel, their service is very convenience for us, love their thru n flow coach services and their staff is friendly and helpful, work and response fast, more important is very safe and responsible. Gave us a pleasant trips. Da Vienna hotel reception staff were all smiles and ready to assist on any queries. Impressed with the boutique hotel which is stylish, new and clean. Location was fabulous for shopping and meals as the huge Nagoya Hill Shopping Mall was just about 5-10 mintues walk away. And another major shopping belt, the BCS Mall and adjacent Penuin area shops and food court were just 15-20 minutes walk away. Room was clean and nice. One slight issue was the shower as the drainage was slow. Anyone who took longer showers may experience water overflowing out onto the toilet area. The hotel SPA packages were value for money and the masseuses were warm and friendly, the rooms are cozy enough for a relaxing massage. Buffet breakfast had much variety from local, Asian to western choices and quality was good. The restaurant crew were friendly and prompt in clearing tables. 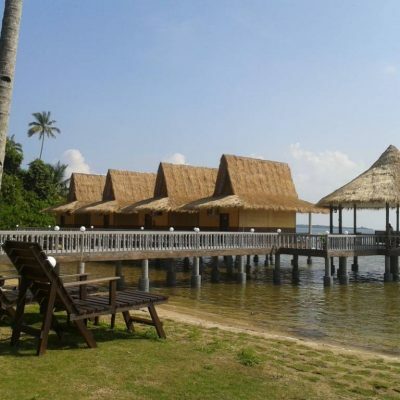 I highly recommend this hotel for those who wish to have vacation in Batam. Stayed at the Junior Suite room, really worth the upgrade!! huge rooms with tub to enjoy.. the room had a sofa and a partition so it's some sort diving the bedroom and the living room. Modernly design and pleasant to the eyes.